After a sneaky midweek game to tide us over, the Premier League returns this weekend with a full slate of fixtures for round 26. There’s a couple of big games on the way too, at both ends of the table. 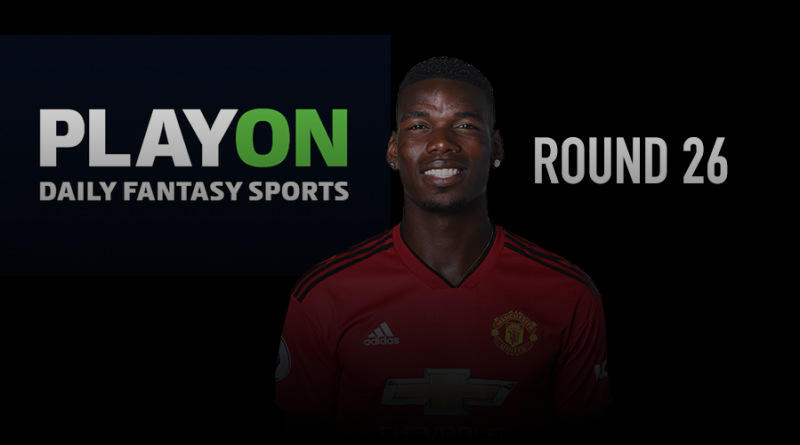 Some big games from the boys at PlayON as well, with Daily Fantasy offerings throughout the round. To help you out in your efforts to take home the cash prizes, I have gone through the games and picked out my best plays from a DDFS perspective, starting with Saturday. If you’re not a member yet you join here. Fresh from a 5-0 spanking at the hands of Chelsea, bottom side Huddersfield face another top-four hopeful in Arsenal. They will be looking to get back on track against a Bournemouth side who lost to Cardiff immediately after giving Chelsea a battering. The very definition of a mixed bag, and sums up why they sit exactly mid-table. Two assists in two games, picking up the 900+ average of James Milner (£7m) for his cut-price is a good piece of business. Tough to call, but the extended form of the home team edges it for me. Just five clean sheets for them this season, however, and none in four, means the odd player from the visitors could provide value. A couple of goals and assists of late. Starting to show a glimpse of his previous form? No win in two for these sides and just the three between them in the last five games. Despite that, they both still sit in the top half and just a point away from each other. Closing out the day is a fixture that in it’s, admittedly short, Premier League history has produced just one goal. Draws for both last out and no wins in three for either – although Burnley are unbeaten in five. The Seagulls currently sit 13th and the Clarets 17th but they are separated by just one point, showing just how tight the bottom of the table is. Another day of action done, or it will be once you head to the lobby and enter your teams. Still, plenty to come though, so be sure to check back in for the Sunday and Monday previews. Accountant by day and Sports Fanatic by night (and also day). Originally from Newcastle, England. Lifelong NUFC fan, taking on Titans, Bombers and Roar affiliations since moving to Australia.